Very Good. 0715317075 ALL BOOKS SHIPPED WITHIN 1 DAY OF PURCHASE! Good. 4to-over 9¾"-12" tall. 227pp; mild wear. Very good. Signed by previous owner. 192 p. Audience: General/trade. GOOD. 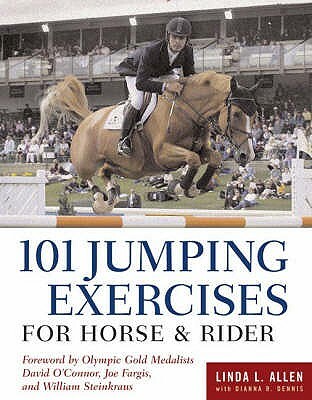 Trade Paperback-9780715324059 [ALLEN, LINDA L. ] 101 JUMPING EXCERCISES FOR HORSE & RIDER.